Damien Hirst’s new gallery on Newport Street in Vauxhall is due to open on 8 October 2015 with an exhibition by former Chelsea College of Arts lecturer and scholarship founder John Hoyland. Newport Street Gallery is the realisation of Hirst’s long-term ambition to share his diverse collection, which includes over 3,000 works, with the public. The first show entitled ‘Power Stations’ will be the first major exhibition of Hoyland’s work since 2006. The show will feature paintings made between 1964 – 1982. 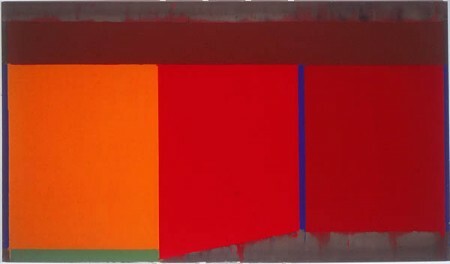 John Hoyland is considered one of the greatest British abstract painters of his generation, but throughout his long and successful career as an artist he remained a committed teacher and lecturer. In 1965 he led Chelsea’s first nationally recognised Postgraduate Diploma in Fine Art. This connection with Chelsea has led to the establishment of the John Hoyland scholarship. The scholarship supports one Home / EU student on the MA Fine Art course at Chelsea by providing them with £8,500 towards their tuition fees.